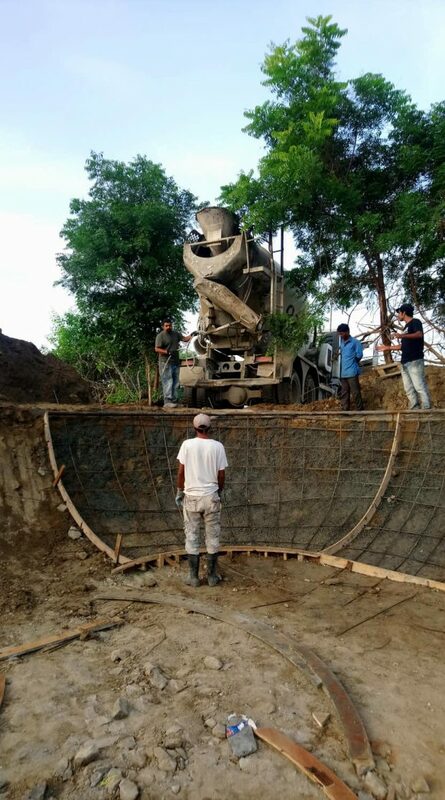 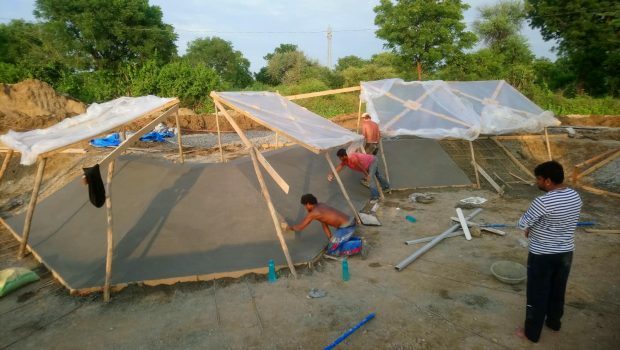 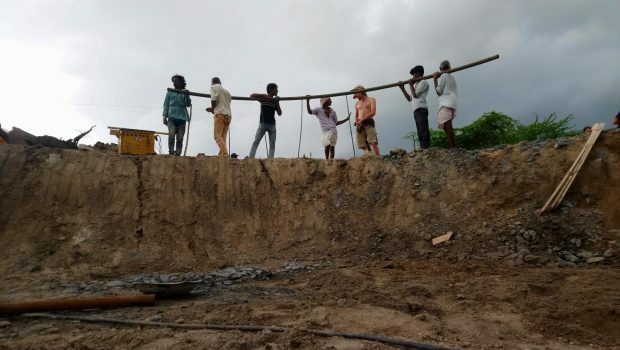 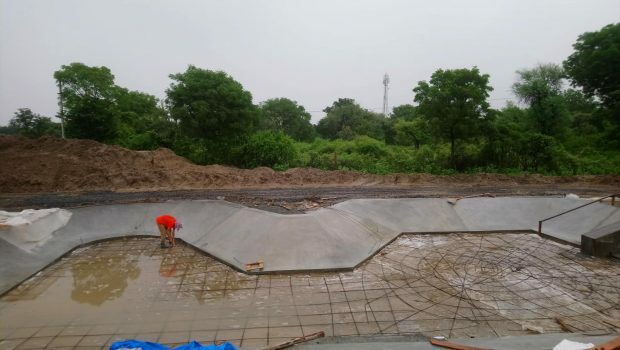 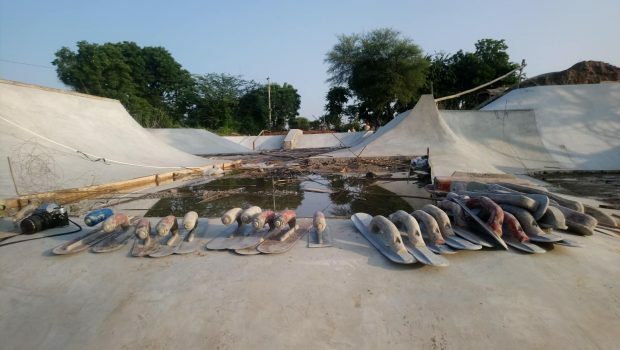 Mac Productions engaged 100 Ramps and a few volunteers to build India’s biggest skatepark (over 14,000 sq ft) in a small village in Rajasthan for India’s first feature film on skateboarding… This skatepark will officially be a free park for the community after the shoot. 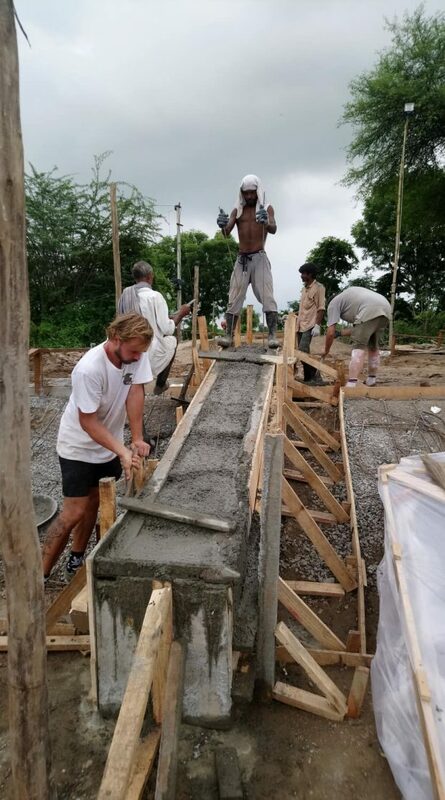 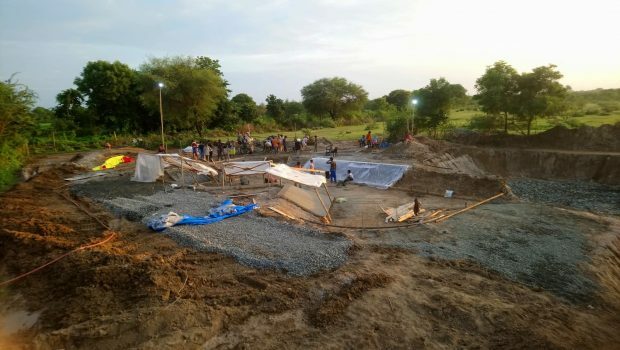 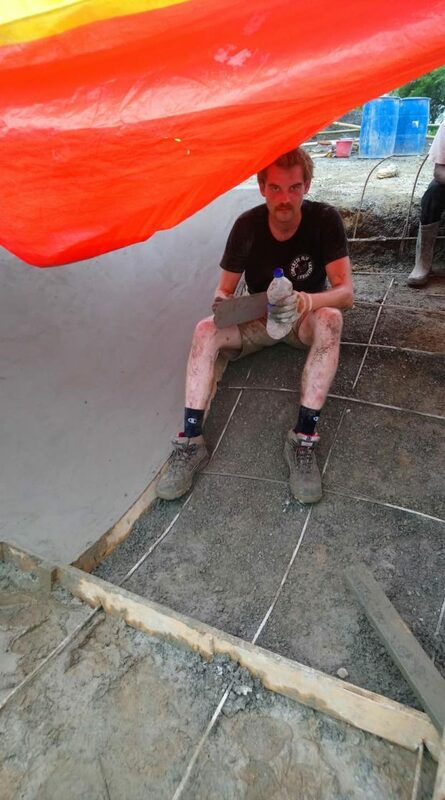 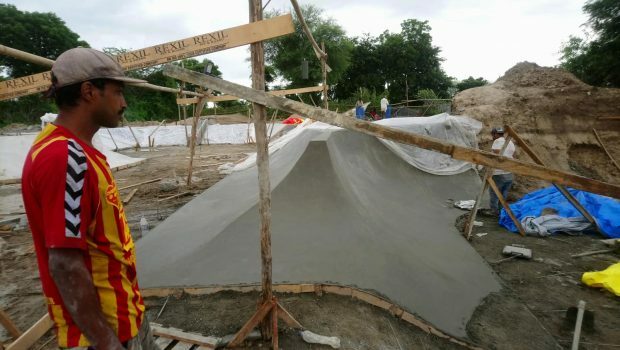 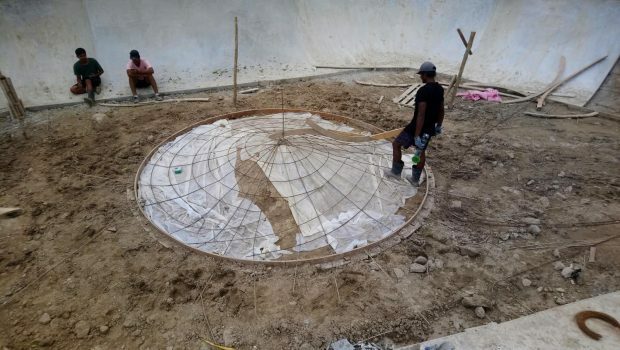 It was definitely a huge challenge; with 10 people, 10 workers, in 8 weeks right in the middle of the rainy season… It required big tent work, walking in mud constantly, wet concrete and clothes etc… But, the good vibes shared between each person associated with the project made it a fun and memorable experience. 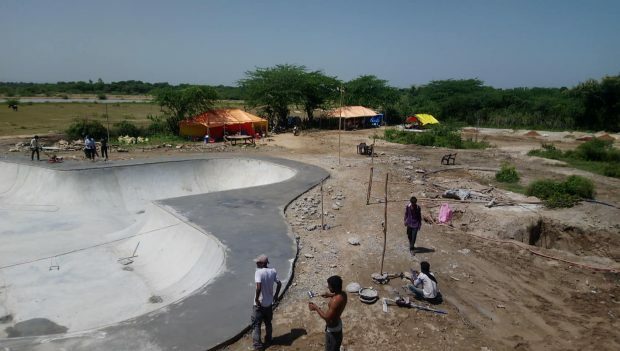 “100 Ramps” is the first official company to make skateparks in India, and they have started only a year ago. 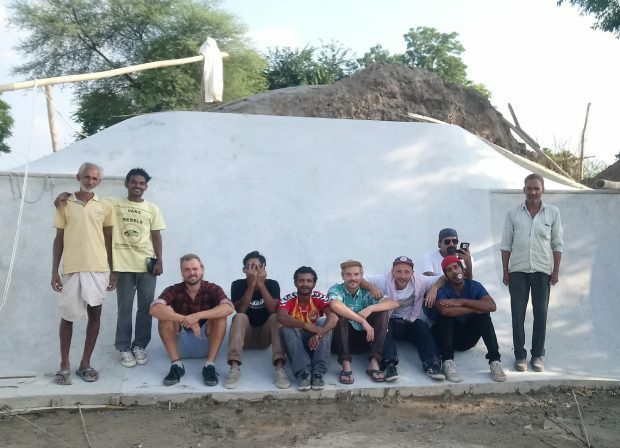 This crew is going to change the game in India and quickly build tonnes of skateparks. 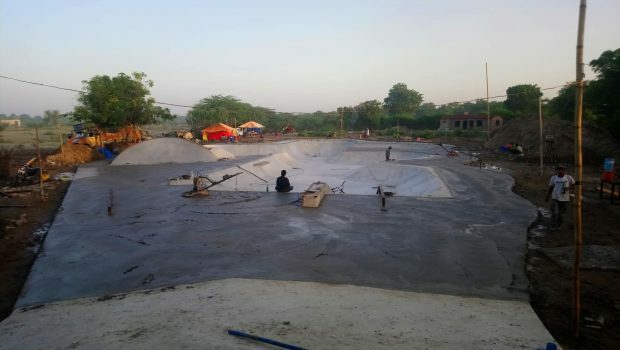 It’s awesome how the filmmakers are leaving behind a skatepark to start a chain of social change even after the film is done with this skatepark we helped build. 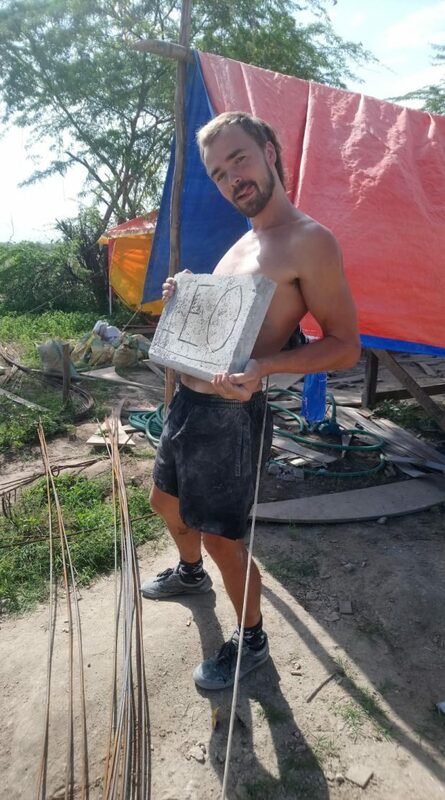 BIG UP FOR THEM! 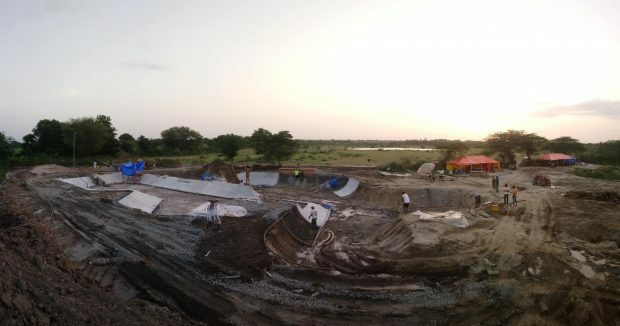 KEEP SHREDDING!